Remove odors, don't mask them. 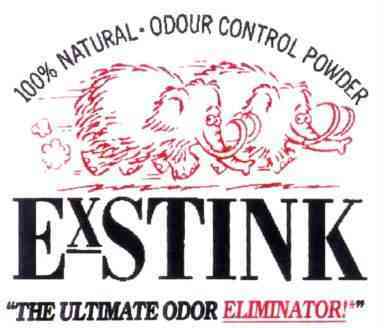 The Original Pink ExSTINK ! Crime Scene Clean up & MORE. As Seen on TV's Home Shopping Network! To see our full line of products or place your order click here. See our how to get rid of cat pee smell page here. Read our how to control nitrates + get rid of stinky fish tank aquarium odors page here. The sachet's are great for in shoes, gym bags and stinky lockers! The gravel works great in pet cages, fish tanks and vehicles! Pink ExSTINK ODOR CONTROL POWDER is a totally natural, non toxic, crystalline mineral which effectively adsorbs a wide range of odors - including and not limited to; bacterial decomposition, wet fur, animal waste, decaying and rotting matter, vomit, urine, feces and more. ExSTINK may be sprinkled liberally in your pet's litter tray and around the feeding and sleeping areas, especially on carpets and blankets to remove odours from animal urine, feces and vomit. ExSTINK can also be applied directly to the coat of any animal with safety. ExSTINK can be used in kennels, barns, cat litter boxes, stables, pigpens, locker rooms, homes, children's play area, bathrooms, hen houses and livestock stalls. Literally any place there are unpleasant smells. ExSTINK is ideal for getting rid bad smells in stinky rooms, cars, carpets, floors, concrete, refrigerators, freezers, fire place, walls, food areas, hospitals, pet areas, chicken coop, barns and many more places that might have had fire damage or unpleasant odors present. ExSTINK can also be applied to such applications as meat and fish processing plants and industries where odor control is necessary or highly desirable. ExSTINK is available in powder or pellet form in a variety of different sized packages. 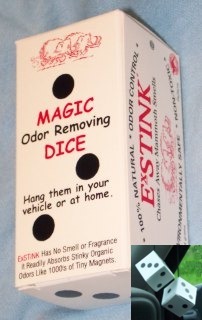 As Magic odor removing Dice filled with pellets, the one pound shaker of powder, two pound canister of powder or pellets and a thirty pound pail of pellets or powder. Mix and match your order! Click here to see our line of odor removing products. 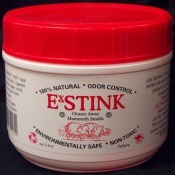 ExSTINK can be placed in a dish and left in affected rooms to remove odors; however, for a faster result, sprinkle directly on source of odor. ExSTINK when added to your aquarium will reduce the amonia and help lower nitrate levels making it a better living environment for your fish. It will also promote healthier plant growth if the correct lighting is used on your fish tank. 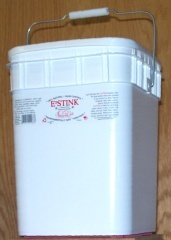 ExSTINK also promotes better plant growth by improving the value of fertilizer. This is done by trapping valuable nutrients and slowly releasing them when and as the plant needs them. It improves the cation exchange capacity of soil and potting medium, therefore resulting in less fertilizer being required. 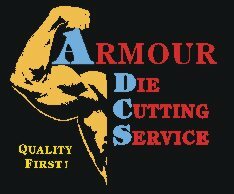 Your one stop graphics shop!